Real estate investment group Cadre is making significant strides toward positioning itself as a leader in the industry. That growth just received a large financing boost thanks to a massive $50-million Series B funding round. Co-founded by CEO Ryan Williams, formerly of Goldman Sachs and Blackstone, the online investment portal is backed by Joshua Kushner of Thrive Capital and real estate developer Jared Kushner. Cadre is the brainchild of Jared and Josh Kushner, the two brothers who have already made quite a name for themselves in the real estate industry. Last year, Cadre brought in more than $18 million during its Series A round of funding, led by General Catalyst as well as Thrive Capital. Other investors included Goldman Sachs, Yuri Milner, Alibaba Chairman Jack Ma, Khosla Ventures, and Founders Fund. Over the past two years, the company has been working diligently behind the scenes to attract a highly targeted group of investors, such as endowments, foundations, institutions, and other high net-worth individuals. To date, the company has released relatively little information regarding exactly how it works, but has stated that it functions similar to a matchmaker by ensuring that clients are matched with real estate deals that match their goals. Cadre utilizes proprietary software to make those matches. In addition, Cadre has brought on board what is termed as due-diligent staff, which works to maintain quality and exclusivity for all investments. A gated website ensures that clients are first thoroughly vetted before receiving an invitation to use Cadre’s services. Cadre’s incredible exclusivity has already drummed up an incredibly amount of interest. The primary goal of the company is to provide clients with a great product combined with exceptional sponsorship. With the launch of its state-of-the-art platform, Cadre is providing clients with the technology necessary to complement their overall investing experience. Invited investors are able to connect with institutional-quality real estate deals that would not typically be available in the current funding model. Yet another way Cadre is challenging the status quo is by charging lower fees. To be certain, Cadre is taking a slightly different approach to real estate investing. To complement that approach, the company has built an in-house team with the experience and knowledge necessary to handle even the most complicated investment deals strategically and creatively. Until recently, the real estate industry has remained one of the last holdouts in which people still conducted business much the same way they had for years. This has proven to be particularly true when it comes to raising capital for real estate investment deals. Far too much still took place offline, with people connecting via email and even by telephone. 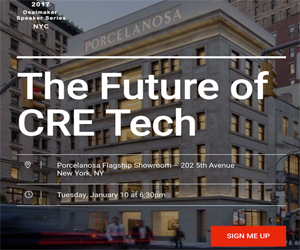 Cadre, like many other real estate investment platforms, is seeking to shake up that approach by providing investors as well as operators with the chance to connect in a more streamlined and efficient manner.